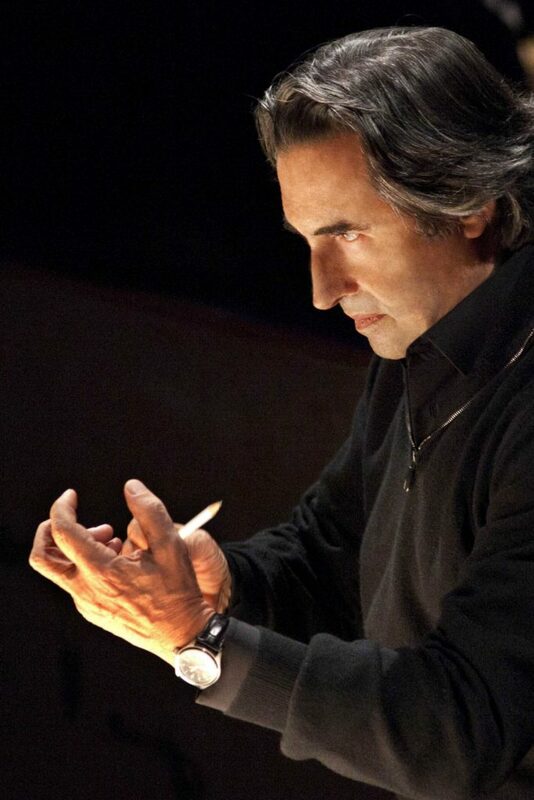 Riccardo Muti leads the Chicago Symphony in two performances at the Kravis Center on Feb. 14 and 15. It’s always a source of wonder to look over the classical season each year. Few other parts of the country have such an abundant menu of stellar performers, risk-taking groups and leading international orchestras, all of them stuffed into a relatively short season. And if you don’t have three or four options you’re trying to choose from every weekend in January, February and March, you’re not looking hard enough. Society of the Four Arts: It’s been some years since the Four Arts has featured an A-list pianist; most recently Vladimir Feltsman and Radu Lupu were on the bill, but this coming season it’s Lang Lang, the Chinese-born virtuoso who is one of the few classical musicians with whom almost everyone would be familiar. And he’s giving two recitals at the venue, on March 8 and March 10. While he may be the biggest name, one of the finest pianists in the U.S., and one with a much deeper approach to music making, is in town Feb. 14, when Brooklyn’s own Simone Dinnerstein guests with the sensational Boston-based chamber orchestra A Far Cry. Two other elite instrumentalists, violinist Gil Shaham (Feb. 25) and cellist Alisa Weilerstein (March 21) are heard in recital, and the terrific British violinist Daniel Hope solos with the Zurich Chamber Orchestra on March 28. 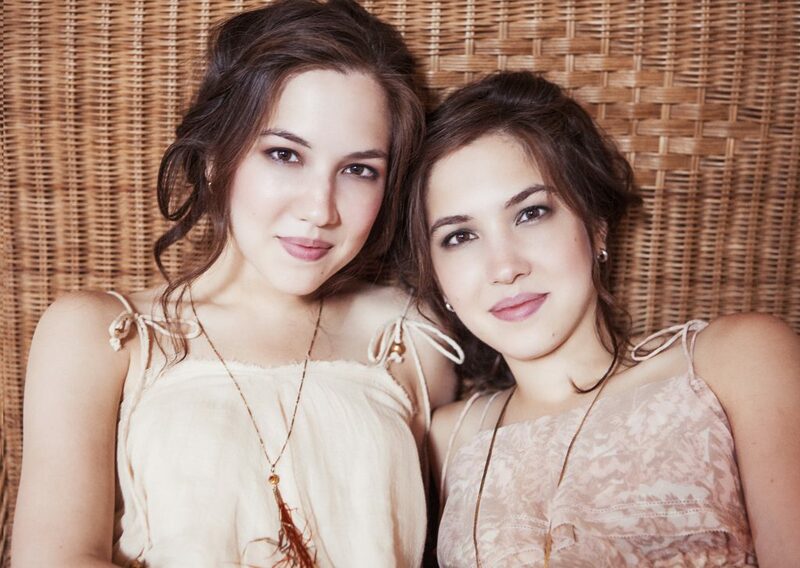 French-Canadian pianist Alain Lefèvre appears Feb. 11 and the fine young piano-duo sister team of Christina and Michelle Naughton return to South Florida on Jan. 14. The exemplary Israeli pianist Alon Goldstein can be heard with the Fine Arts Quartet on Jan. 21, and the innovative duo of clarinetist David Krakauer and pianist Kathleen Tagg present a program of distinctive crossover Feb. 28. Kravis Center: Probably the most-anticipated event at the West Palm Beach venue in the classical season will be the appearance Jan. 13 of Renée Fleming, who last season sang her final Marschallin in Strauss’ Der Rosenkavalier at the Met but who continues giving solo appearances. Cellist Yo-Yo Ma will be back April 21 for another appearance with his Silk Road world music ensemble, and violinist Itzhak Perlman, who can always be counted on to make an appearance somewhere in South Florida during the season, teams with his friend Pinchas Zukerman in a dual recital Feb. 26. Violinist Joshua Bell appears as soloist and conductor with the Academy of St. Martin in the Fields on March 26 (he’s playing music by Wieniawski and Edgar Meyer), and if you can’t make Daniel Hope’s appearance at the Four Arts on March 28, you can see him the night before (March 27) at the Kravis. The excellent Norwegian cellist Truls Mørk solos in the Shostakovich Cello Concerto No. 1 with the Orpheus Chamber Orchestra on Dec. 5, and pianist Garrick Ohlsson plays the Brahms First with Neeme Järvi and the Estonian National Symphony on Jan. 29. The 2013 Cliburn Competition winner, Vaydm Kholodenko, can be heard in recital Dec. 4, and the 2017 gold medalist, South Korea’s Yekwon Sunwoo, plays the Paganini Rhapsody of Rachmaninov with the National Symphony of Cuba on March 12. Russian pianist Dmitri Masleev plays the Tchaikovsky First with the Moscow State SO on Nov. 15, and the Uzbek pianist Behzod Abduraimov plays the Rachmaninov Third with the Jacksonville Symphony on Feb. 27. Meanwhile, two organists will perform on the Kravis’s new digital organ, including the brilliant Cameron Carpenter on Jan. 8, and the veteran Washington, D.C., organist and director of music at St. Joseph’s on Capitol Hill, Mickey Thomas Terry, gives a recital May 12. 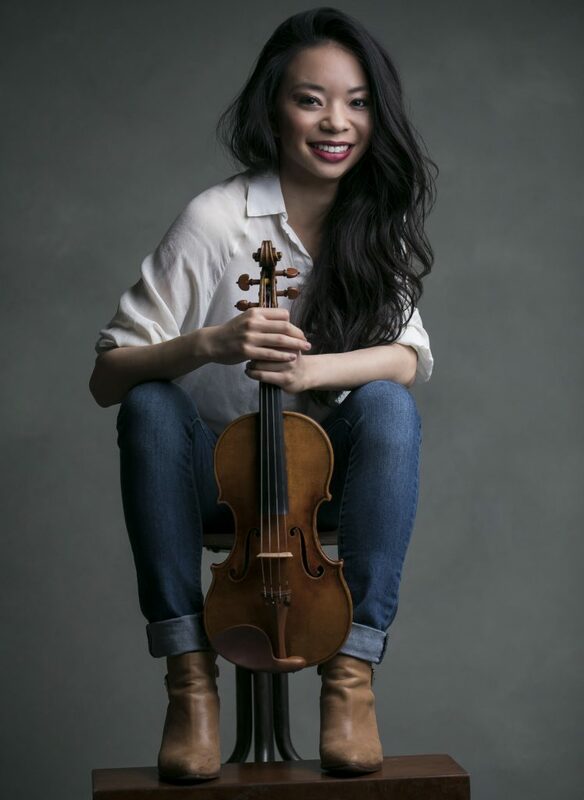 The Kravis’s Young Artist recitals at the Rinker Playhouse are always worth attending to see future stars in the making, and the violinist Sirena Huang, who won the first Elmar Oliveira Competition earlier this year at Lynn University, is on the bill Jan. 22. The silver medalist of the 2017 Cliburn, Kenneth Broberg, makes his South Florida debut March 20; the other two Young Artist performances are by the Lysander Piano Trio (Nov. 14) and the duo-organist team of David Baskeyfield and Thomas Gaynor, who are scheduled April 5. Festival of the Arts Boca: Returning to a little more star power than they’ve had in past years, the 12th iteration of this late winter celebration of books and music (Feb. 23-March 4) opens Feb. 23 with soprano Kathleen Battle, who will sing songs by Gershwin and African-American spirituals with the Lynn Philharmonia, led by festival music director Constantine Kitsopoulos. The next day, Itzhak Perlman, who has played and conducted at the festival in the past, brings his “Fiddler’s House” survey of traditional Jewish klezmer music to the stage outside the Boca Raton Museum of Art. Another eminent fiddler, Midori, plays the Tchaikovsky concerto with the Symphonia Boca Raton on March 3; also on that program is the young Russian pianist Nikolay Khozyainov in the Rachmaninov Third Concerto. And on March 4, the festival continues its live-orchestra soundtrack series with a showing of Steven Spielberg’s E.T., accompanied by John Williams’s memorable score. Chamber Music Society of Palm Beach: Aside from the quartet and other ensembles it features, this nonprofit also offers concerts by solo artists, including the wonderful American violinist Jennifer Koh, who will be joined by pianist Reiko Uchida (the two women’s collaboration, String Poetic, was nominated for a Grammy in 2009) for two recitals, one at the Boca Raton Museum of Art (Feb. 19), and another the next day in the Gold Room at the Breakers on Palm Beach. Younger artists are featured Jan. 30, when violinist Danbi Um is joined by pianist Juho Pohjonen and tenor Karim Sulayman at the Rosarian Academy in West Palm Beach, and on April 12, the Romanian cellist Andrei Ionita is joined by Japanese pianist Naoko Sonada for a recital at Holy Trinity Episcopal Church, also in West Palm Beach. Lynn University: The Boca Raton university welcomes some distinguished pianists this season, including Peter Serkin on Dec. 2 in recital at the Amarnick-Goldstein Concert Hall, and the 90-year-old Leon Fleisher will conduct a master class Jan. 24. The Cuban guitarist and composer Leo Brouwer had been scheduled as the special guest of Lisa Leonard’s annual new music festival Jan. 19-21, but was not able to make the trip because of visa problems. In his place will be the Boston-based Scott Wheeler, with a master class on Jan. 20 and a concert devoted to his music on Jan. 21. Kravis Center: The West Palm Beach performing arts venue’s Regional Arts series is always the focus for out of town orchestras during the season, and this time, the big news is the arrival of one of the country’s greatest ensembles, the Chicago Symphony Orchestra, led by its music director Riccardo Muti, which will give two concerts: an evening concert Feb. 14 featuring the Brahms Second Symphony and American composer Jennifer Higdon’s Concerto for Low Brass, and an afternoon concert Feb. 15 with clarinetist Steve Williamson in the Mozart Clarinet Concerto, rising French mezzo Clémentine Margaine in Chausson’s Poem of Love and the Sea, and the Four Sea Interludes from Britten’s opera Peter Grimes. The Israel Philharmonic Orchestra and director Zubin Mehta return Nov. 4, and violinist Pinchas Zukerman solos with and leads London’s Royal Philharmonic Orchestra in concerts Jan. 15 (the Mozart Concerto No. 5) and 16 (the Beethoven concerto). The other orchestras on the series are the Moscow State Symphony (Nov. 15), Orpheus Chamber Orchestra (Dec. 5), Estonian National Symphony Orchestra (Jan. 29), Jacksonville Symphony (Feb. 27), National Symphony Orchestra of Cuba (March 12), Academy of St. Martin in the Fields (March 26) and Zurich Chamber Orchestra (March 27). Each of these groups has prominent soloists appearing with them; see the Instrumental section of this preview for more details. Palm Beach Symphony: The orchestra is expanding its offerings this year with three chamber music concerts and added children’s concerts in addition to its five mainstage events. The formal season opens Dec. 6 with guest conductor Albert-George Schram at the Society of the Four Arts leading the group in music by Rossini, Haydn and the Concerto for Seven Wind Instruments by the 20th-century Swiss modernist Frank Martin. The New York teenage piano prodigy Maxim Lando, who turns 15 this month, will be the soloist in the Saint-Saëns Second Concerto on Jan. 17 at the Benjamin School in Palm Beach Gardens on a program led by guest conductor Robert Moody of the Winston-Salem and Portland (Maine) symphony orchestras that also features the Beethoven Seventh and Muse, a piece by American composer Christopher Theofanidis. Palm Beach’s director Ramon Tebar directs symphonies by Mendelssohn and Schumann at Mar-a-Lago on Feb. 15, and on March 12, the Delray Beach Chorale and Florida Atlantic University chorus join the group at Bethesda-by-the-Sea Episcopal for the Dixit Dominus of Handel and Vivaldi’s popular Gloria. The Romanian cellist Rãzvan Suma closes the season at the Kravis Center on April 17 with the Elgar Cello Concerto on a program that also includes the Second Symphony of Rachmaninov. Symphonia Boca Raton: The orchestra opens its season at the Roberts Theatre at St. Andrew’s School in western Boca with former Seattle Symphony conductor Gerard Schwarz on Dec. 10 with a special concert in honor of Schwarz’s 70th birthday. He’ll lead his son Julian, an excellent cellist, in the Rococo Variations of Tchaikovsky as well as a new work of his own for cello and orchestra. Artistic director Jeffrey Kaye will be the soloist in an orchestration of a sonata by Giuseppe Torelli, and the program will be rounded off with the Second Symphony of Beethoven. The Philadelphia Orchestra concertmaster David Kim returns to Boca as conductor and soloist in the Mendelssohn Violin Concerto on Jan. 7; he’ll also lead music by Barber, Dvorak, Grieg and Piazzolla. The expert Israeli pianist Roman Rabinovich makes a long-overdue revisit to South Florida as soloist in the Emperor Concerto of Beethoven on Feb. 18 in a concert led by former Florida Philharmonic conductor James Judd. Haydn’s Drum Roll Symphony (No. 103) and the Emperor Waltzes of Johann Strauss II also are featured. Illinois Symphony director Alastair Willis, who led an all-French program last season, turns to the music of Vienna for the final concert March 25. Clarinetist Richard Hancock and bassoonist Gabriel Beavers solo in the rarely heard Duet-Concertino of Richard Strauss; music by Gluck, Beethoven, Brahms, Johann Strauss II and the Haffner Symphony (No. 35) of Mozart also are on the bill of fare. 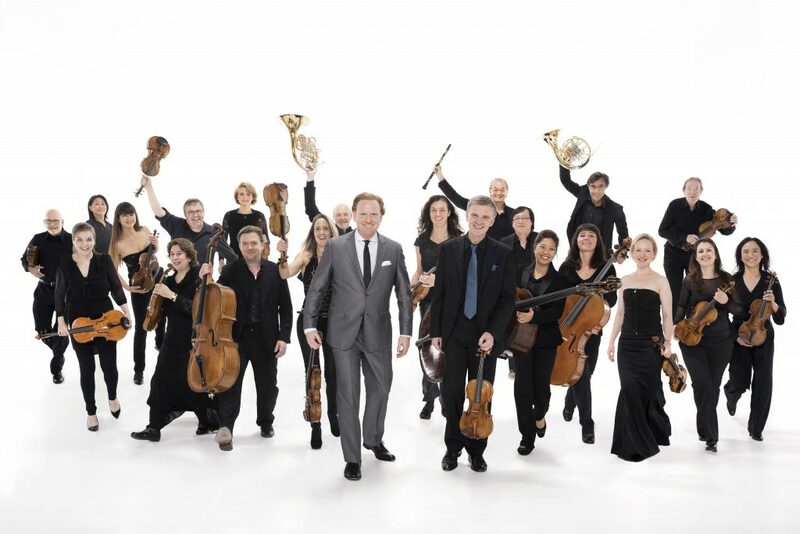 Atlantic Classical Orchestra: The Fort Pierce-based orchestra, which last year appointed David Amado as its artistic director, continues its concerts in Stuart, Vero Beach and the Eissey Campus Theatre in Palm Beach Gardens, and also continues its series of world premiere commissions under the Rappaport Prize inaugurated by former conductor Stewart Robertson. Violinist Leonid Sigal is the soloist on the first concert Jan. 17 (Gardens, Jan. 18, Vero, Jan. 19, Stuart) in one of Leonard Bernstein’s best pieces, his Serenade for violin and orchestra, a violin concerto in everything but name. The second half contains the Ninth Symphony of Beethoven, of all things, with four soloists from the Palm Beach Opera’s Young Artists Program and a chorus made up of the Treasure Coast Community Singers, Vero Beach Chorale and the Chancel Choir from the Community Church of Vero Beach. Violinist Sirena Huang follows her January recital at the Kravis with an appearance Feb. 14 (Gardens) as the soloist in the Barber Violin Concerto; Schumann’s Second and Prokofiev’s First (Classical) symphonies are also on the program. An all-Mozart program is set for March 14 (Gardens), with flutist Tina Apelgren and harpist Kay Kemper in the Flute and Harp Concerto, plus the Serenata Notturna and the Symphony No. 40. The season ends April 4 (Gardens) with a world premiere work by the harpist and composer Hannah Lash, who teaches at Yale; pianist Alon Goldstein solos in the Prokofiev Third Concerto, and the program closes with the beautiful Second Symphony of Johannes Brahms. South Florida Symphony: Based in Fort Lauderdale, the orchestra marks its 20th season in 2017-18. It performs at venues in Key West, Fort Lauderdale, Miami and the Spanish River Worship Center in Boca Raton. Conductor Sebrina Maria Alfonso will be joined by cellist Zuill Bailey, a returning artist, in the Tales of Hemingway cello concerto by American composer Michael Daugherty, which won no less than three Grammy awards this year. Also on the program is Manuel de Falla’s El Amor Brujo, with soprano Argentina Lopez and the Siudy Garrido Flamenco Dance Co.; Mozart’s Haffner Symphony completes the program (Dec. 17, Arsht Center, Dec. 19, Parker Playhouse). The Martha Graham Dance Company is the guest for the second concert, which features two major works, Copland’s Appalachian Spring and Stravinsky’s Rite of Spring, plus a ballet to Tom Hormel’s Legend of Bird Mountain, which had its world premiere this past season (Jan. 23, Broward Center). The terrific Canadian violinist Lara St. John joins the orchestra for the third concert as soloist for Vivaldi’s Four Seasons; Beethoven’s Pastoral Symphony rounds out the program (March 2, Spanish River Worship Center). Cuban pianist and composer Aldo Lopez-Gavilan solos in the Ravel Piano Concerto in G for the final concert, which features as its major work the Symphonie Fantastique of Berlioz. Also on the program is Nimrod Borenstein’s If You Will It, It Is No Dream, a piece written for the 70th anniversary in 2018 of the founding of the state of Israel (April 15, Spanish River). The orchestra also presents two pop concerts, the first a tribute to the Great American Songbook (Nov. 14, Spanish River) and the second a program of music from Tony Award-winning musicals (Feb. 8, Spanish River). Lynn Philharmonia: The student orchestra at Lynn University has steadily grown better each year, particularly so in the last couple years under the leadership of Guillermo Figueroa. The first concert Sept. 23 and 24 offered Elmar Oliveira in the Violin Concerto of the American composer Richard Sortomme, while the second features the Mahler Fifth Symphony, Mozart’s Don Giovanni overture, and a world premiere by the winner of the Lynn student composition contest (Oct. 21, 22). The winners of the conservatory’s annual concerto competition are heard Nov. 11 and 12. Bright Sheng’s Harp Concerto, with soloist Deborah Fleisher, is on the fourth concert along with Schumann’s Second Symphony and the suite from Bartok’s music for the ballet The Miraculous Mandarin (Jan. 27-28). For the fifth concert, which will be conducted by conservatory dean Jon Robertson, trumpeter Marc Reese performs the Trumpet Concerto of the 18th-century Czech composer Jan Neruda; the program also includes Hindemith’s Symphonic Metamorphoses, Bernstein’s Candide Overture and the Brahms First Symphony (Feb. 24-25). The season ends with a world premiere: A flute concerto by Puerto Rican composer Mariano Morales, played by none other than the jazz flutist Nestor Torres. Mexican composer Arturo Marquez’s Danzon No. 2 is also on the program, along with the Beethoven Pastoral Symphony (April 21-22). Another notable event in the season this year at Lynn is the inaugural Roger Voisin Memorial Trumpet Competition, organized by Reese in honor of his teacher and mentor, who played in the Boston Symphony Orchestra and led the student orchestra at Boston University for many years (Jan. 13-14). Symphony of the Americas: James Brooks-Bruzzese’s Fort Lauderdale-based orchestra marks a milestone with its 30th anniversary season. Pianist Thomas Tirino, a specialist in the music of Cuban composer Ernesto Lecuona, solos Oct. 10 in a program devoted to music of Hispanic and Italian heritage. Two youth choruses, the Florida Singing Sons and the Girl Choir of South Florida, join the orchestra Dec. 5 for its annual holiday program. Jazz crossover is on the menu Jan. 9 with the Errol Rackipov Group as special guests; there also is a world premiere by the Brazilian-born composer Rafael Piccolotto de Lima. The fine Cuban-born soprano Maria Aleida and tenor Carlos de Antonis are the soloists Feb. 20 in music from opera and Broadway, and soloists from the American Ballet Theatre are on hand March 13 for music from the world of classical ballet. The prodigious American pianist and composer Conrad Tao, still only 23, appears April 10 in music of his own and as soloist in the sprawling Piano Concerto No. 2 of Sergei Prokofiev. Cleveland Orchestra: The Ohio band has drastically cut back its winter residency at the Arsht Center’s Knight Concert Hall, performing just two events. On Jan. 26-27, conductor Franz Welser-Most leads the orchestra in the Ninth Symphony of Gustav Mahler, and on Feb. 2-3, it’s an all-Beethoven concert featuring the Fifth and Eighth symphonies along with the Coriolan Overture. New World Symphony: Based at the Frank Gehry-built New World Center on 17th Street, the orchestral academy is one of the great treasures of South Florida and classical music in general, training future generations of orchestral players. Michael Tilson Thomas is joined by the sensational pianist Yuja Wang for the opening concerts Oct. 14 and 15, when Wang will play two rarely heard Russian concertos: Rachmaninov’s Fourth and Prokofiev’s Fifth, the final works in that form by both composers. Cellist Yo-Yo Ma is on hand Oct. 28 as soloist in Richard Strauss’s Don Quixote, tenor Nicky Spence joins conductor Mark Wigglesworth Nov. 11 and 12 in Britten’s song cycle Les Illuminations, and the great young Scottish violinist Nicola Benedetti plays the Second Violin Concerto of Poland’s Karol Szymanowski on Dec. 2 and 3 with the brilliant American conductor James Gaffigan. The Atlanta Symphony’s Robert Spano leads the New World and Russian pianist Yefim Bronfman in Beethoven’s Third Piano Concerto on Jan. 12 and 13 with two fine 20th-century symphonies, the Barber First on the 12th and Shostakovich’s Fifth on the 13th. Norwegian pianist Leif Ove Andsnes solos in the rarely heard Fantasie of Debussy (Feb. 17-18), and Spanish conductor Pablo Heras-Casado leads a program of Brahms and Ligeti on Feb. 23, then welcomes violinist Gil Shaham on the 24th in the Bartok Second Concerto. The splendid Baroque music specialist Jeannette Sorrell returns to the New World on March 10 and 11 for a program that includes two of Bach’s Brandenburg Concertos, and the eminent composer John Adams comes back to the house March 31 for a program of contemporary American music including his own fanfare Tromba lontana, a work by his son Samuel Carl Adams, and the Third Piano Concerto of the young Timo Andres, who will be the soloist. The Telegraph Quartet plays the Duncan Theatre on Jan. 17. Delray String Quartet: Now in its 14th season and with a new violist, Moldova-born Felicia Besan, the Delray embarks on a much-reduced series of concerts, with two at its home in Delray’s Colony Hotel on Jan. 21 (featuring guitarist Marco Sartor in a Boccherini guitar quintet), and on Feb. 25 with guest pianist Catherine Lan in the Brahms Piano Quintet and the one-movement student piano quintet of Gustav Mahler. That same program is scheduled two days earlier, Feb. 23, at All Saints Episcopal Church in Fort Lauderdale, and quartet manager and founder Don Thompson said the quartet also will play two concerts at Palm Beach Atlantic University and two more at Bailey Hall on the campus of Broward College in Davie. Flagler Museum Music Series: The Whitehall mansion on Palm Beach, built by industrialist Henry Flagler in 1902, has welcomed superb chamber musicians to its performance space for five concerts each season, on Tuesday nights two weeks apart starting in January. The concerts are followed by a champagne and sweet treats reception to which the audience is invited to join and talk to the musicians. This year’s concerts open Jan. 9 with the Tesla Quartet, founded at Juilliard in 2008 and major prizewinners at competitions such as the Banff and Fischoff. On Jan. 23, Russia’s Hermitage Piano Trio performs music by Shostakovich, Dvořák and Beethoven (the Ghost). The Prima Trio, which features violin, clarinet and piano, returns to South Florida on Feb. 6, followed Feb. 20 by the Boston Trio, a piano trio that celebrated its 20th anniversary this year. The Flagler season closes March 6 with Germany’s Henschel Quartett, which was founded in 1994 in Munich. Four Arts: The chamber music programs at the Palm Beach society will for the first time in many years not include two repeat performers: The American Chamber Players and pianist/lecturer Jeffrey Siegel. The concerts will include appearances by the Calidore String Quartet (Jan. 7) in music by Haydn, Beethoven and Shostakovich; the Fine Arts Quartet (Jan. 21, with pianist Alon Goldstein) in string quintet-and-piano arrangements of two Mozart piano concerti; the brand-new all-star New York Philharmonic String Quartet (Jan. 31); the eminent St. Lawrence String Quartet (Feb. 4) in music of Haydn and late Beethoven (Op. 132); and France’s Quatuor Ébène on March 11. 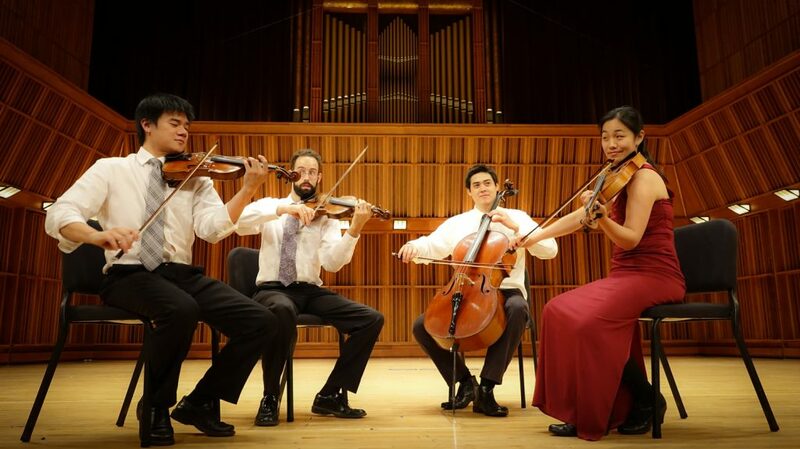 Duncan Theatre: When the Palm Beach State College’s Wednesday afternoon Classical Cafe series was in the main theater (it’s now in the black-box Stage West next door), it featured string quartets. In recent years, it’s been largely soloists and smaller ensembles, but this time around, quartets are making something of a return, beginning Jan. 17 with the splendid Telegraph Quartet of San Francisco, the Naumburg grand prize winner last year. Chicago’s excellent Lincoln Trio, a piano trio, returns Jan. 31, followed Feb. 21 by the Attacca Quartet, a brilliant American group whose recordings include the complete string quartets of John Adams. The fine violin-and-piano sibling duo of John (violin) and Joseph Irrera (piano), the Irrera Brothers, closes the series March 21. Chamber Music Society of Palm Beach: Michael Finn’s Palm Beach-based nonprofit has moved out of Mar-a-Lago this year, and opens its regular season with the Ehnes Quartet, founded in 2010 by James Ehnes, the Canadian violinist (and Tampa-area resident), on Nov. 28 at the Gold Room of The Breakers. The Philadelphia Orchestra Brass Quintet presents music by Gabrieli, Gershwin and the Russian brass quintet specialist Victor Ewald on Dec. 11 at Holy Trinity Episcopal in West Palm Beach, and the Escher String Quartet starts off the new year Jan. 4 at the Breakers with guest violist Matthew Lipman and oboist James Austin Smith. The marvelous Miró Quartet plays two concerts on the series, one March 19 at the Boca Raton Museum of Art (music by Haydn, Schumann and Puccini), and the second March 20 at The Breakers (music by Dvorak, Beethoven and the American composer Kevin Puts). A new trio comprising three standout musicians — violinist Arnaud Sussmann, cellist Colin Carr and pianist Orion Weiss — perform music of Dvorak and Ravel at the Breakers on April 25, and the Grammy-winning Harlem Quartet closes the series at the Rosarian Academy on May 7. Music at St. Paul’s: The Delray Beach Episcopal church celebrates its 30th year of Sunday concerts in its lovely space on Swinton Avenue this year, and with a new musical director, harpsichordist Paul Cienniwa. This year’s season, which began last month, holds a lineup of local chamber groups and performers, including Jupiter’s Trillium Piano Trio (Oct. 22); the Duo Beaux Arts piano duo of husband-and-wife Tao Lin and Catherine Lan (Nov. 19); the Klotz-Calloway-Strezeva Trio of Miami (Jan. 21); Lynn University pianist Roberta Rust with the Serafin Quartet (Feb. 18); a special duo-harpsichord performance of J.S. Bach’s Art of the Fugue (March 18) featuring Cienniwa and Michael Bahmann; Miami’s own Amernet String Quartet (April 15); soprano Adriana Ruiz and countertenor Edgar Sanfeliz Botta in arias of Bach with St. Paul’s Camerata del Re (May 20), and the Palm Piano Trio closes the season June 10. Chameleon Musicians: For its 16th season, the series founded by Dutch cellist Iris van Eck moves to the Abdo River Room at the Broward Center for the Performing Arts, its longtime venue at the Josephine Leiser Center having been sold. It will do a reduced season of three concerts this year, starting with a Jan. 14 tribute by the Amernet String Quartet to civil-rights icon Martin Luther King Jr. A string quartet by the 95-year-old George Walker is on the program along with music by Scott Joplin, Glazunov and Dvorak. Van Eck and pianist Kemal Gekic team for a recital March 18 of music by Enescu, Ravel and the British composer Ethel Smyth. The season wraps April 29 with Gekic, van Eck and violist Michael Klotz in trios by Brahms. Seraphic Fire: This celebrated Miami-based ensemble (the only Grammy-nominated South Florida classical ensemble currently working) founded by Patrick Dupré Quigley opens its 16th season with selections from Monteverdi’s late collection of sacred music, Selva Morale et Spirituale (four concerts; Oct. 21 in Fort Lauderdale). The group adds Boca Raton’s St. Gregory’s Episcopal Church to its venues for the second concert, a program of American hymnody led by Beth Willer of the Lorelei Ensemble (five concerts, Nov. 12 in Boca Raton). The choir’s hugely popular Seraphic Fire Christmas program returns in December, led by James Bass (nine performances; Dec. 13 at the Society of the Four Arts, Dec. 15 at St. Gregory’s). The new year opens with a performance of American composer David Lang’s The Little Match Girl Passion (five performances, Jan. 20 in Fort Lauderdale), followed the next month by Bach’s epic St. Matthew Passion (three performances; Feb. 17 in Fort Lauderdale). Scott Allen Jarrett leads the next concert, a performance of Brahms’ Liebeslieder Waltzes (five performances; March 17 in Fort Lauderdale), and the third of the ensemble’s three Passion settings bows the following month with the Passio of the contemporary Estonian composer Arvo Pärt (three performances; April 14 in Fort Lauderdale). 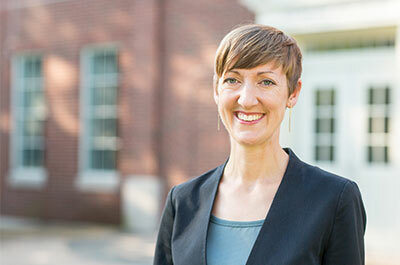 For the final concert of the season, Bass presents a program of music set to words by Shakespeare; actress Siobhan Doherty will also take part (four performances; May 12 in Fort Lauderdale). Master Chorale of South Florida: The 120-piece community chorus celebrating its 15th anniversary has two Requiem settings on this season’s programs, beginning with the one by the French composer Maurice Duruflé (Nov. 5, St. Gregory’s Boca Raton). Artistic director Brett Karlin has scheduled a followup to last year’s popular Broadway Legends concert with a second selection of music from the Great White Way (March 18, St. Andrew’s School, Boca Raton). The chorale joins with the Lynn Philharmonia on May 6 at the Wold Performing Arts Center on the Lynn campus for Brahms’s German Requiem. The group also performs Handel’s Messiah for the holidays, with a concert Dec. 8 at the Broward Center for the Performing Arts in Fort Lauderdale. Masterworks Chorus of the Palm Beaches: The 35-year-old community chorus, led by Ken Taylor, performs its annual Handel’s Messiah twice this year, once on Dec. 15 at the Benjamin School in Palm Beach Gardens, and the second time Dec. 17 at its usual site for this concert, the Royal Poinciana Chapel on Palm Beach. A program of songs from the movies is set for Feb. 25 at the DeSantis Chapel on the campus of Palm Beach Atlantic University in West Palm Beach, and the season closes April 29 at the Dreyfoos School of the Arts with Mozart’s Requiem.